Members of the United States House of Representatives have voiced concern over the Chinese Communist Party’s interference in a classical Chinese dance competition in Hong Kong that is being organized by a New York-based broadcaster. Michael McCaul (R-Tex. ), the Chairman of the House Committee on Homeland Security, issued a statement on July 26 in support of New Tang Dynasty Television (NTD), an international Chinese language broadcaster. In early June, NTD lost its venue for the preliminary round of its seventh International Chinese Classical Dance Competition because the theater management had to accept a sudden priority booking from the Hong Kong government and cancel its contract with the broadcaster. 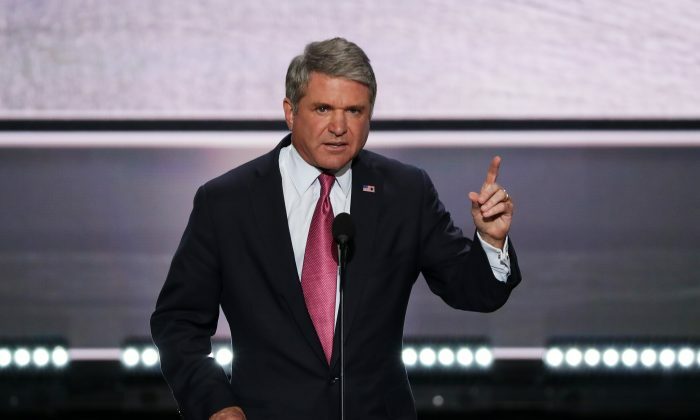 Rep. McCaul called on the Chinese regime to “respect the rights on Hong Kong’s citizens and cease all efforts to exert its influence on the NTDTV Dance Competition” at MacPherson Stadium, the new competition venue. Presently, communist front groups are harassing the dance competition near the stadium. NTD is likely being targeted by the Communist Party because it frequently reports on the regime’s human rights abuses. The broadcaster shares the same corporate parent, Epoch Media Group, as this newspaper. Rep. Nydia Velázquez’s letter to Hong Kong Chief Executive Leung Chun-ying. Several U.S. Senators, including Sen. Marco Rubio, Sen. Ben Cardin, and Sen. Robert Menendez, as well as members from the European Parliament, have also expressed their discontent with the Chinese regime’s inference in the dance competition. Hong Kong lawmakers, activists, and artists have censured Hong Kong leader Leung Chun-ying and his government for blocking the NTD dance competition and earlier artistic performances in the semi-autonomous Chinese city.